Whimsie Doodles is having a color challenge and I just love the colors they picked for this challenge! 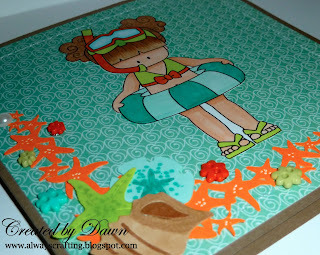 Aqua, Orange and Lime Green are just lovely summer colors. It was so much for me to use these color on my card. In designing this card, I wanted something clean and simple to show off the paper and the image. So I choose to just add corner embellishments instead of covering the card with them. I love the way it turned out. Yeah! 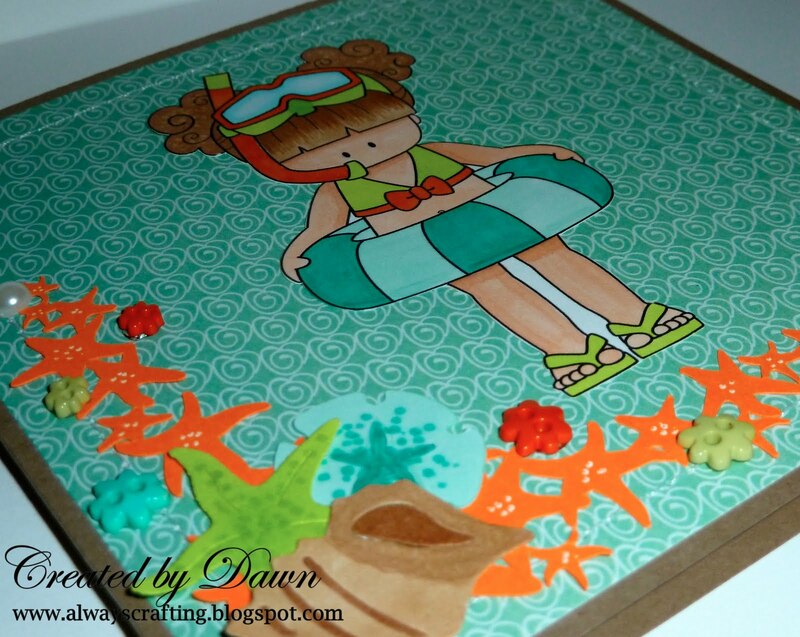 This card won this Whimsie Doodles Aqua, Orange and Lime Green color challenge! What a super bright card. Fantastic colours. Thanks for taking part at The Crafty Pad this week.